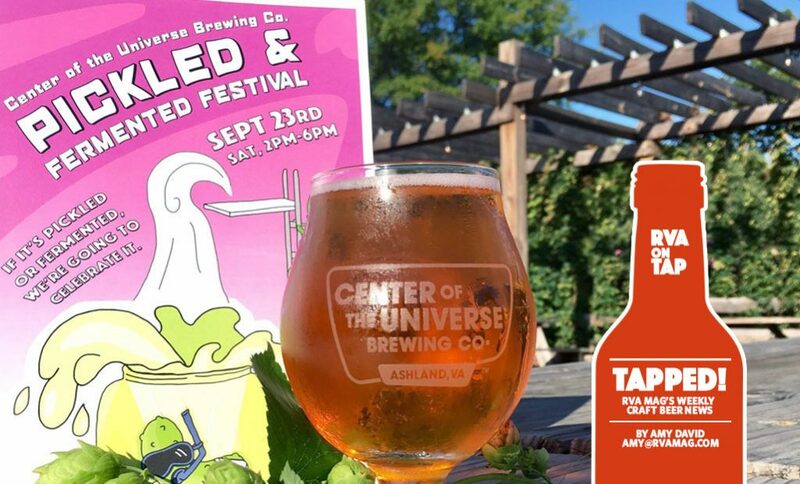 Center of the Universe is hosting their 2nd annual Pickled & Fermented Festival this Saturday at the brewery, a day that I am SUPER bummed to be missing for the second time. For pickle lovers and lovers of everything pickled, this is the event for you. The Artisan Pickle Clubwill bring you all things pickled and fermented including pickledcucumbers, sauerkraut, pickled fruit, pickled veggies, hot peppers, kimchi, BEER, kombucha, kefir and more from soem amazing vendors. Along with a slew of great vendors who will be sampling and selling, there will be live music from Buckville Hootenany, food trucks, the return of Center of the Universe’s Pickled Gose Ale, and the announcement of the Pickled & Fermented competition winners. New to the festival this year: pickling and fermenting demonstrations from local chefs and fermentation specialists, and a pickle juice drinking competition! The festival kicks off at 2pm with live music. The pickle juice drinking competition happens at 4pm and the competition winners will be announced around 5pm with demonstrations happening throughout the day. RVA Mag’s own President John Reinhold will be on the panel of judges tasting and selecting the best pickles, ferments and more. (Not jealous of him at all…) Be on the lookout for a followup article from RVA Mag with photos and the winners of the competition! Check out the vendors and chef demos on their Facebook page.